1. Flavors in Israel has the best bourekas in Israel. 4. A new blog on the scene - this one by the Rabbi of an orthodox congregation who openly admits, albeit anonymously, that he is an atheist despite his position in the Orthodox clergy. The Orthoprax Rabbi. Normally a pregnant woman is not allowed to get married to anyone other than to the father of the child. As well, when a woman has given birth, she is technically not allowed to get married for up to two years after the birth to another man (see your own Rabbi for clarification if you are in such a situation). The concern is that the woman will get pregnant with the baby of the second man and will not be able to feed, will not have enough mothers milk, for the first baby. At 24 months, the baby is deemed in halacha to be strong enough to survive and no longer require mothers milk. The practical question recently arose when a single woman was pregnant through IVF fertility treatment and soo after "conceiving" she met a man and they decided to marry. Here she is, wanting to get married, but pregnant with "another man's" baby. What to do? After consulting, her case was brought to Rav Ovadia who paskened, in a breakthrough psak and one that will be sure to be used as a precedent in the future, that she could get married. His psak is based on the fact that nowadays most women do not nurse for 24 months, along with the fact that today we have supplements and mothers milk is not necessarily required. The main point of his psak though is that the groom (now husband) had agreed in writing to support the child. Normally we are concerned that a father will support his own child but not the child born to a different father, and the first baby would be left uncared for. The groom agreeing to support the baby solved that problem and Rav Ovadia said there is no need to extend the decree beyond what it was originally meant to include, and they could get married. There is no suspicion that the child will be harmed by the couple getting married, in this instance. The couple married a few days ago. Mazel tov. Good ole fellow Chicagoan Louie Farrakhan was always good for an exciting headline as he would attack the Jews with crazy claims. He has finally taken the cake, as he can no longer claim his words are being taken out of context. This time he didnt just make a statement that is being partially quoted, but he sent a letter out to heads of Jewish institutions. Farrakhan sent a letter to more than a dozen Jewish leaders and organizations (I wonder if he used Newsweek's recently published list of the 50 Most Influential Rabbis in America to decide to whom to send his letter) calling on them to help repair the damage the jews have caused in history to his people. He also sent books from the Nation of Islam that prove Jews have been engaged in anti-black behavior for a very long time. In the letter, Farrakhan writes "This is an offer asking you and the gentiles whom you influence to help me in the repair of my people from the damage that has been done by your ancestors to mine,". "Your present reality is sitting on top of the world in power, with riches and influences, while the masses of my people ... are in the worst condition of any member of the human family." I would venture to say that means Farrakhan has forgotten about his good friend Barak Obama who is the President of the US. A black man sits atop the world in power, while no Jew has yet to reach that position. Regardless, Farrakhan is always good for a provocative headline..
No matter how great, and straight, a person might be, he never knows how he will respond when he and his morals are tested. As Hillel says in Pirkei Avos, "אל תאמין בעצמך עד יום מותך" - don't trust in yourself [to not fail], until the day of your death. Michoel Streicher was the singer/performer who, to me at least, always seemed to be the most stable of singers. Singers and performers live difficult lives in front of the crowd, traveling a lot, exposing themselves to situations that can be very difficult. Yet Streicher always seemed, to me at least, to be of a different mold than the average performer. He never really seemed to let his fame and popularity get to him. he learned in kollel, he seemed like a genuine baal aliyah who used his music and talents to inspire. But, as Hillel says, one cannot be confident in his abilities to withstand temptation until the day one dies. Michoel Streicher, who seems to have fallen on hard times financially, like many others in these days of global recession, was convicted in court, and sentenced to 3 years of prison, for stealing $36,000 from a woman and her family who hired him to be the broker on their behalf to buy a Torah for her husband who was ill. He is now deceased. Streicher returned the money a few days ago as he handed her a check, but the agony and stress he caused them over the years still prompted the judge to sentence him to 3 years in prison. 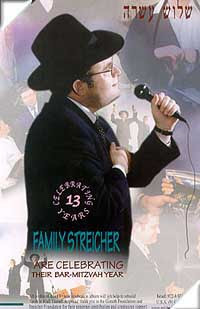 Streicher is quoted as having said in court that he was like Michael Jackson in Israel. The news reports are also saying he is mentally ill and is undergoing treatment. Call between 9:00 AM and 5:00 PM EST. To leave a message for the President, the White House Switchboard can be reached at 202-456-1414. The White House Comment Line can also be reached directly by calling 202-456-1111. Tell the President that releasing Jonathan Pollard would be the consummate act of friendship towards the People of Israel. Ask the President to please send Jonathan Pollard home with Mr. Netanyahu. 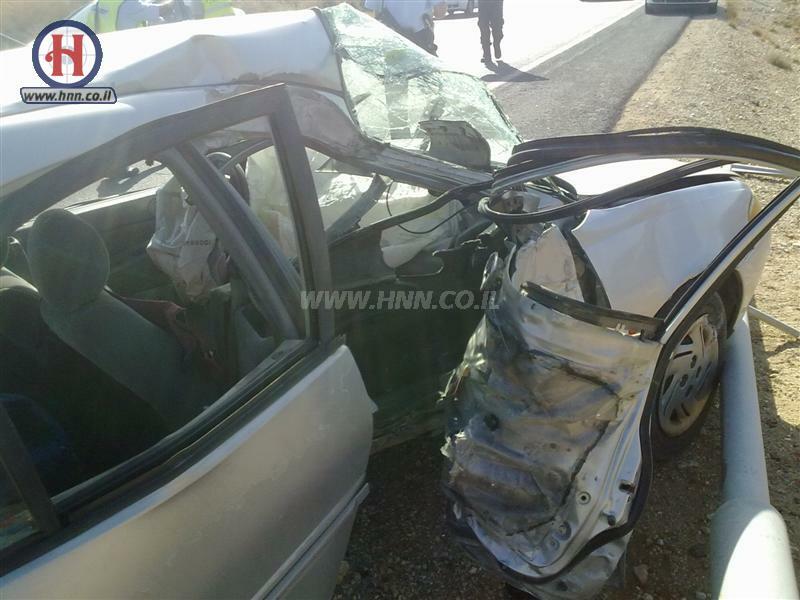 This is a picture of the post-accident car Moshe Feiglin's son was traveling in the other day. The car in front made a sudden, illegal, u-turn, causing the car Feiglin was a passenger in to swerve to avoid hitting the car in front and smashed into a guardrail. Feiglin is in critical condition and can use your prayers and good thoughts. His name is Dovid Yosef ben Feigie Perel. Wanna know what a Yankees fan is? This kid is a real Yankees fan..
After whiskeys have started getting hecsherim, sure to lead to a complete change in the kosher whiskey industry, it looks like vodka might have to be next... perhaps even more urgently than the need of a hechsher for whiskey. Being introduced to the vodka market is a whole slew of new types of vodkas - with various flavors. No longer just vanilla or chocolate chip mint, but meat flavored vodkas. Flavors like Smoked Salmon Vodka and Bakon Vodka are first, with more to come along the way if this type of flavoring is deemed a success..
''I think there was some madness and some drunkenness involved, honestly,'' said Toby Foster, an Alaska Distillery partner and the one charged with coming up with new flavors with Alaska themes. ''I was trying to think of something Alaskan. What's more Alaskan than smoked salmon? It was one of those epiphanies, I suppose,'' he said. ''But once we got it down and honed in on where the real secret was in making this, it was fun and games after that,'' she said. Vodka is the highest selling spirits category in the country, and in the last five or six years, flavored vodkas have been taking off, said Danielle Eddy, spokeswoman for the Distilled Spirits Council of the United States. Fruit flavors were first, followed by vegetables and herbs -- even a Russian garlic vodka. ''In the past few months, Bakon Vodka came out on the market. However, smoked salmon vodka is the most unique that we've heard of,'' Eddy said by cell phone from Scotland, where she was attending an industry event. As individuals today there is really not much we can do to help either Gilad Shalit or Jonathan Pollard. The most we can do is pray for them, and try to pressure the government in one way or another to work towards their respective releases (and we all know how much that has helped until now). The Tztitzit Foundation, whatever that is, is starting a tzitzit campaign on behalf of Pollard and Shalit, to try to merit their releases. Please read the short explanation for the connection between Tzitzit and Redemption for Gilad and Jonathan. ---The Midrash Agadah comments on Numbers 15:39 that the command of Tzitzit is related to Redemption. "God gave the command of Tzitzit in order that Israel would remember the good that He did for them, when he took them out of Egypt and requited their enemies"
---Rabbi Shlomo Yitzhaki, great Biblical commentator, explained that the Mitzvah (Command) of Tzitzit is related strongly to redemption. 2. The 8 strings on each corner of the garment remind us of the 8 days from the beginning of the Exodus until the crossing of the Red Sea! When each one of us wears the Tzitziot (fringes) we are evoking the merit of our forefathers, who themselves merited redemption. May that merit pass on to Gilad and Jonathan! If this is something you can participate in, ashrecha. And halevai it should bring more merit and help. The makeup of this group seems a bit unusual..
1. RBS Blog celebrated a couple of siyums. Mazel tov. It is difficult to understand the need for kashrut certification on cleaning goods. Especially those goods that have nothing to do with food, such as laundry detergent and even more so toilet paper.. What does the tush have to do with kashrut? --- Organizers of the "secular boycott", as they introduce Sano as the latest target of their boycott, specifically for their toilet paper. Eitan Haber in Ynetnews has an interesting analysis as to why Jonathan Pollard is still sitting in an American jail, and why it is likely that he will continue to do so until he dies. He suggests that the reason is because we have made him into a hero and as a national icon who committed such a serious crime, they cannot release him. And what do Israelis do? Our governments (mostly rightist governments, and rightist Israelis) turned Pollard into a national hero; a brother and savior, the greatest Jew of all. They granted him Israeli citizenship, created a lobby in parliament, and spoke about him at the Knesset and in the cabinet. Prime ministers and ministers (mostly from the Right) spoke wonders about Pollard, making him a national hero in Israel. Well, the Americans entrusted with the Pollard issue are telling themselves, and also telling some Israelis: A despicable spy who harmed us and exposed our secrets is a national hero in your view? The Jewish God’s deputy? Okay, we’ll show you how it works! Your national hero (they don’t say it out loud, merely hint) will get out of here only on a stretcher, covered by a sheet. The right path in the past 26 years should have been to present Pollard as small fry, a smalltime criminal, and a man who didn’t do anything significant. We should have explained the affair was “a mishap that will not be repeated.” Then, his fate would be the same as that of tens of thousands of criminals, including spies, who were released from prison in the last generation. We could have postponed the celebrations. 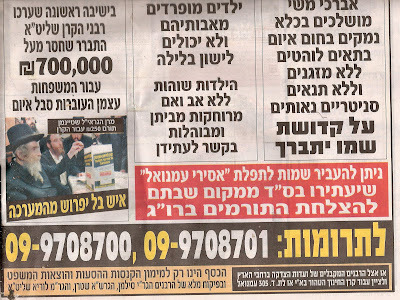 A ramification of the Emannuel school situation, which seems to thankfully be finally resolved, is that an increasing number of people in the Haredi community are beginning to call for changing the system to not take any money from the State of Israel. The Satmar platform, in part at least, is becoming commonly suggested and is being considered for adoption. I said this would happen - that attacking the Haredi community now in such force would not be beating them down but would cause them to become more extreme in their positions. It might start with not taking money for schools so w can run them how we want, but it will end up in all sorts of other areas where it will be less pleasant. The latest of such calls are coming from Litvishe Rosh Yeshiva Rav Michel Yehuda Lefkowitz. Rav Lefkowitz said that the time has come for the yeshivas to stop taking money from the government, so as to give the yeshivas complete independence. Rav Lefkowitz quoted a number of gedolim from previous generations who believed in this position of not taking money from governments so as not to later be required to submit to external interference in the methods of the yeshiva. Since the yeshivas continued existence is a phenomenon that is beyond nature, there is no reason to put our reliance in the government. If the yeshivas will not be getting money from the government, will this force changes in the system? Will they be more discerning in who comes to learn in the yeshiva, as their resources are being spent on the students, they might only be willing to take this on for the more serious students? Or will it stay the same but just more reliant on fundraising? Will yeshivas decentralize, as the large yeshivas would have to massively fundraise, but more small yeshivas might make it easier for each to raise smaller amounts of money? Or perhaps the system will centralize more as people will be less inclined to open yeshivas and the large yeshivas will be where people donate their money rather than to small yeshivas..
Time will tell, and maybe this is just threats anyway and nobody is really planning on giving up the government funding.. What rosh yeshiva that goes out a few times a year for weeks and months running from door to door will willingly give up what has become a stable part of his budget, knowing that that will force him to go out collecting even more than what he already is? This seems like a good development. The Ministry of Environmental Protection is going to actually start monitoring cell antennas radiation levels, and no longer just trust the reports from the cellphone companies. The ministry is starting to require all antennas be connected to a monitoring system that will give them full access to the stats of each tower and allow them to see when a tower is exceeding the allowed levels of radiation. This should drastically cut down on the "piracy" of the cell companies. They put antennas all over the place, often without any oversight and even without permits. Then we have situations where all we can do is trust the mobile company's word that the antenna is safe and operating within acceptable standards. Without oversight, there is no way to know where the antennas are, or whether they actually conform to the standards or not, or whether they get maintained properly or not. Now all that will change. It really looks as though US Admiral Mullen and IDF Chief of Staff Ashkenazy, and their staff, have a very good working relationship. Hamas' new video about Gilad Shalit, gloating that four years later and they are still holding Gilad.. It is amazing that Haaretz can have two articles running one so close to each other that show such extreme hypocrisy. In one article (there has been more than one over the past few days) Haaretz blasts the "right-leanign" mayor of Jerusalem for planning to build a park in East Jerusalem and for his plan to evict 22 resident families of illegal buildings in order to build the park (a park that both Arabs and Jews will benefit from). Today there is added criticism that Barkat is destroying the peace process with a plan to increase Jewish presence in East Jerusalem and help the Jewish enclaves grow. Haaretz also has been running articles, notably a very harsh one yesterday, about how horrible it is that Israel is building a sewage line to a yishuv in Samaria. There were some legal issues with the sewage processing line, and eminent domain had to be used to lay the line. The State says that the line is not just for this one yishuv (Ofra), but the local Arab villages will also be hooked up to it. Haaretz though criticizes the State for building a sewage line because it will destroy the chances for peace. At the same time, Haaretz never misses an opportunity to demand Israel raze Jewish buildings, whether legal or illegal, in Arab areas. The "settlers" need to be evicted. Their houses must be destroyed. It is always the Jews who are the obstacle to peace, and it is always the illegal Arab houses that must be ignored so as not to harm chances for peace. If illegal housing should be destroyed, it should be so in Arab areas as well. If some people are obstacles and it is ok to move them, then it should be ok to determine that other people are obstacles as well and it should be ok to move them. If a region needs a sewer line, it should be ok for the State to build the line, so that local residents won't need to be living with overflowing sewage in their playgrounds and yards. 1st thought: Doesn't anybody work for a living in this country? 100,000 go out to protest the Supreme Court. 10,000 go out to walk for 11-12 days... and the rest of us who are too lazy to do either of them... doesn't anybody work? 2nd thought: If they were marching on Gaza, I would support them. But because they are marching on Jerusalem I cannot support them. I want Shalit released, but I don't know that the danger of releasing hardened terrorists is worth it. I thank God that it is not my decision to make, but my personal feeling is that putting the pressure on Netanyahu instead of on Hamas is the wrong move, because it will pressure Bibi to release more for Gilad, while pressuring Hamas will cause us to have to release less. The big debate in the religious public the past 2 weeks has been how to relate to mixing Sefardim and Ashkenazim in schools, in light of the school in Emannuel that has been holding strong to the headlines recently. If you wonder whether or not you should send your kids to school with Sefardic kids, what would you say about sending them to school with kids from all sorts of other denominations - Asians, Muslims, Hispanics, and African Americans! No, I am not talking about public school, but a new type of school in Brooklyn, written up by The New York Times, called the Hebrew Language Academy Charter School. They are funded by public funds, and therefore have to be open to the public. While state officials were at first skeptical, thinking they would just pose as being open to everyone, the school has really taken everyone by surprise and has been open to everyone and has excelled. The kids all eat kosher food from a kosher caterer, but in terms of learning about religion, or even just about Israel with no religion involved, is a legal minefield. Walking along Flatbush Avenue in Brooklyn, they make out the lettering on kosher food shops and yeshiva buses, showing off all they learn at the Hebrew Language Academy Charter School in Midwood, where they both attend kindergarten. But as the school’s first year draws to a close, its classrooms are filled with a broad range of students, all seeming confident enough to jabber away as if they were elbowing their way down Ben Yehuda Street in Jerusalem. Perhaps surprisingly, the school has become one of the most racially mixed charter schools in the city. About a third of the 150 students are black, and several are Hispanic. The school’s organizers say it has been so successful that they plan to help create dozens like it, pledging to spend as much as $4.8 million next year to seed schools in Phoenix, Minneapolis and Manhattan Beach, Calif., in addition to one set to open next fall in East Brunswick, N.J. But despite its diversity, the school still faces scrutiny over how it will handle religion and the complicated politics of the Middle East. Will this school become trendy and give the Day School a run for it's money? That is not likely, though some parents say they chose this school instead of a religious day school. Students receive at least an hour of Hebrew instruction daily — the hallway is filled with ear-piercing shouts as the students learn that chicken is called auf and a cow is a parah. Ms. Berman said the school planned to train teachers how to deal with discussions of Israel, which she said would involve an evenhanded approach. Although the school cannot inquire about faith, many of the white students are Jewish. A few wear yarmulkes, and several parents acknowledged that if it were not for H.L.A., they would have sent their children to a Jewish day school, which can cost more than $20,000. At the start, a few parents pulled out their children, alarmed, as Maureen Campbell, the school’s principal, put it, “at the diversity.” But most remained. Some parents who are not Jewish said they applied because they were simply eager for their children to learn a second language. But others gave reasons the school would be unlikely to cite in its recruitment brochures. Barak Obama's nominee for Supreme Court Justice, Elana Kagan, seemed like a shoo-in as nobody really had anything bad to say about her. Of course it would go through the process and who knows what would be discovered in the process or how they would demonize her for being too liberal. They seem to be very desperate for ways to attack her. So desperate that her opponents newest method of attack is focusing on, as The New York Times says, "her praise for an Israeli judge". It is not that he is Israeli, but that Aharon Barak is extremely liberal and was an activist judge. Judge Barak, the retired president of the Supreme Court of Israel, has advocated an expansive role for the judiciary in his home country. But in this country, he has emerged over the past few days as a kind of liberal judicial villain for Republicans and conservatives, who are trying to turn Ms. Kagan’s praise for him against her. The White House says Ms. Kagan was simply welcoming back a former student; Judge Barak studied at Harvard in the 1960s. But Ms. Kagan’s opponents have rolled out Judge Barak — “the other Barack,” some call him, in reference to President Obama — as Exhibit A in the case against her. Even some of Judge Barak’s critics have jumped in. “Can’t Judge Bork and the rest of Kagan’s opponents find something else — and less bizarre — to attack her with?” asked the Orthodox Union’s Institute of Public Affairs. Israel does not have a formal constitution, but Judge Barak has written that a series of “basic laws” adopted by the Knesset essentially functions as one, and has asserted that courts have authority to determine whether future laws violate these basic laws. He is also an ardent champion of civil liberties; during the Persian Gulf war of 1991, he insisted the Israeli government hand out gas masks to Arabs in Israel-occupied territories. Aitan Goelman, a Washington lawyer who clerked for Judge Barak, compares him to two American chief justices: John Marshall, who established the principle of judicial review in the landmark 1803 case of Marbury v. Madison, and Earl Warren, who expanded the rights of criminal defendants. “He’s like the Israeli John Marshall and Earl Warren wrapped into one,” Mr. Goelman said. 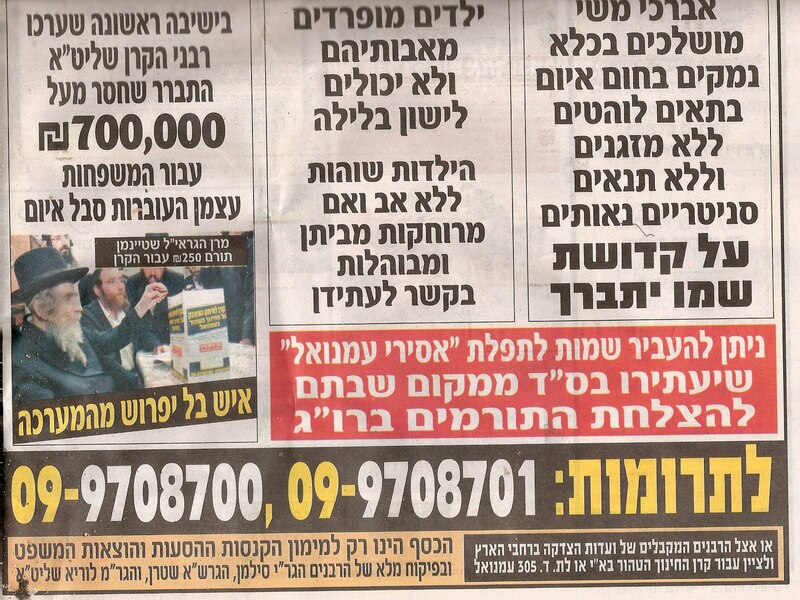 In this week's Yated they ran a tzedaka ad collecting for the families from Emannuel that have been incarcerated by the Supreme Court. The organization is called "The Fund for Saving the Pure Education in Eretz Yisrael", and I wonder if by "Pure" they mean pure from sefardim or pure from the influences of the Supreme Court.. They go through their spiel, very similar to the way Kupat Ha'Ir tries to raise money (though their name is nowhere on this ad). 1. Geshmack Torah discusses whether Bilaam's words were a blessing or a curse..
Jack Abramoff, Pizza Guy. Is there a category for that on LinkedIn? Kol HaKavod to Abramoff who has served his time for his crimes of fraud and corruption. He is now out of jail. A lot of people who serve their time, go right back to their old business when they get out of prison. Abramoff could have gone back to wheeling and dealing and been tempted again by the power and money. I am sure he has his connections and people who would hook him up. Yet there Jack Abramoff is not walking the halls of Washington DC power, but working in a kosher pizza joint. he might be out of his field, but kol hakavod to him for starting over and not jumping right back into the same mistakes he made in his previous life..
Mr. Abramoff started his new gig this week at Tov Pizza — “the best kosher pizza in town,” according to a catchy jingle that plays while callers are on hold. He has so far stayed largely cloistered in a back office. He will work about 40 hours a week, said the owner, Ron Rosenbluth. He comes in around 10:30 a.m., leaves around 5:30 p.m., and wears a yarmulke to work, as many of the male customers and employees here do. He earns between $7.50 and $10 an hour (“or a little less than what he used to make”). He has been responsible, punctual, courteous. “He is not the monster he has been portrayed as,” Mr. Rosenbluth said. Mr. Abramoff did not appear at the front of the restaurant during a two-hour stretch late Wednesday afternoon as families walked in and out, having ordered slices, veggie burgers and baked ziti. There was, however, a chance sighting in a back office (he wore a red polo shirt and appeared to be reading something). While in prison, Mr. Abramoff reportedly gave regular Torah lectures, according to a report this week in The Baltimore Jewish Times, quoting a former inmate. Mr. Abramoff focused on Jewish law and also led an introduction to prayer course, the publication said. Mr. Rosenbluth says he is hoping that he can get help with marketing strategies from Mr. Abramoff, who used to run Signatures, a kosher restaurant in Washington. By “marketing,” Mr. Rosenbluth does not mean that Mr. Abramoff will win notoriety for his establishment — though he clearly has, since the media attention has been steady and, judging from Mr. Rosenbluth’s disposition, somewhat annoying. “I have a restaurant I need to run,” he said. Still, better Tov Pizza get the attention than the other kosher pizzerias in Baltimore, said Jason Broth, the restaurant’s night manager. And as per that last quote, Tov Pizza is probably raking it in with all the publicity they are getting this week by having Jack Abramoff working for them.. The Christian Science Monitor is running an interview that Shimon Peres gave to a journalist from the Los Angeles Times. Peres, as always, has some interesting things to say about the current situation and about Israel's history. Shimon Peres: Israel wanted to tell the Palestinian people that (Hamas rocket attacks against Israel) would harm them. But with two reservations: first, that it not become a collective punishment and, second, that it not create an inhumane situation. So we measured everything. Is there enough water, enough food, enough medical supplies? I’ve seen reports about the situation in Gaza and the narrative was extremely negative. But when you looked at the people, they dressed properly. The markets were full. It was a contradiction. It’s not by accident that there was not a humanitarian crisis. We felt responsible. But Hamas is the one who destroyed everything. That is being forgotten. Peres: The fact that (outsiders) are pressing us doesn’t mean that they’re right. There is an attempt to delegitimize Israel. It’s quite easy. The Arab bloc has a built-in majority in the United Nations. We never stand the slightest chance. But I ask myself the following question: If they are delegitimizing Israel, who are they legitimizing? They legitimize Hezbollah and Hamas and Al Qaeda, too. They don’t mean to. But if you delegitimize the fight against terror, which is very complicated, the consequences are that terror is being legitimized. Peres: Criticism is one thing. But when you say, “Go back to Poland. Go back to Germany” (as American journalist Helen Thomas recently said in a widely condemned remark), that’s not criticizing. Or when they say Israel doesn’t have the right to exist, that’s not criticizing. Sanders: That was one woman’s outburst. That’s not the kind of thing people mean when they talk about Israel’s isolation. Peres: What would they like us to do? We agreed to a two-state solution. We agreed to ease the situation in the West Bank. We are easing the situation in Gaza. And there are still acts of terror. Countries that have to fight terror understand what we are doing. Countries that read about it don’t understand. It’s very hard for a person in Switzerland to understand. But the United States, they understand. We have a biography that no one else has. In 62 years, we’ve been attacked seven times in an attempt to (destroy) us. Peres: No. No matter what people declare, there is basic agreement that there is just one law in Israel, not two laws. It’s the law of the state. The (Jewish religious) law of Halakha is voluntary, but it’s not overriding. Second, nobody can impose religion on anyone else. You can be Jewish, or religious or secular. The complication is not in the relation between the state and religion. It’s between religious parties. It’s there that the clash begins. But in principle, there is one law. Sanders: How is Israeli Prime Minister Benjamin Netanyahu doing? Peres: My mentor, David Ben-Gurion, told me there is only one way to judge a leader: by the record and what he did. Netanyahu has two important things on his record. He agreed to a two-state solution, and by doing so brought an end to the ideology of the right wing, and he introduced what is being called the economic easing in the West Bank. That’s a serious record. I give him credit. I have been prime minister enough times to know that, contrary to the general perception that the prime minister runs the realities, it’s the realities that run the prime minister. Sanders: Your role in Israel has evolved into an elder statesman. What do you see as your contribution today and your future political plan? I used to be the most controversial. Today, I’m the most popular. I don’t know which made me happier. I really don’t know. I like to confront. I don’t think leaders should please, they should move ahead. Leadership is not about being on the top. It’s about being out in front. If I would think that the Supreme Court justices believed what they were saying, that the school in Emanuel is founded on racial discrimination, I would act differently. But since I have not a doubt that they know the truth, that all their words are founded on lies, it is only a battle between faith and heresy, between the power of holiness and the power of tumah of the sitra achra - a battle that we always knew would erupt in the end of days. And in a battle for kiddush Hashem, even if they would stand us before a firing squad we would not give up and we would not compromise even an inch. Hakshiva helps these and other teens with a consistent caring relationship that has meant the difference between success and failure and in some cases even between life and death. With the help of the community we have created a family of support for these teens that has brought them from failure to success and from pain to joy. Graduates of our program are currently succeeding in Yeshivas, Midrashot, army and university. In addition Hakshiva expends tremendous resources in to helping prevent these problems from occurring. Hundreds of children from around RBS have been helped and have avoided these problems altogether thanks to Hakshiva's help. Hakshiva is supported and seeks guidance from Rabbonim across the community. We are grateful to many of you who have donated consistently and have made Hakshiva one of their community causes. Without more people making Hakshiva one of their consistent Tzedaka causes we will be forced to cut services. More children and teens will suffer and many problems will become catastrophes. We need your continued help to stop this from happening. The Washington Times is running "An Open Letter to President Obama from Jon Voight". See The Washington Times for the full letter.. While I have been running fairly consistently recently, I have not been running much. It has gotten down to a regular once a week, with the occasional, but rare, twice a week. Being that it is not training season for anything, and because of my schedule I cannot run with the group very often, I have to either go out alone, or find a running partner. Going alone is something I do, but not often anymore. It is hard to push myself to go out alone, especially in the summer heat. Finding a running partner is tough because most of the runners I know are much faster and stronger runners than I am. I have a guy I go running with, but because of our schedules that usually only works out once a week - Friday morning. Somehow, we worked out a rare mid-week early morning run for today. The weather was beautiful, as the terrible heat wave broke yesterday afternoon. This mornign it was cool and the skies were cloudy so we didnt have a strong sun beating down on us. We drove out to Tzomet Ha'Eila, to get a change of pace. It gets a bit monotonous running the same route over and over again. So we started our run at Tzomet Ha'Eila, and planned to run between 10 and 12km. The run was great, with great weather. When we got to the 5km mark, we decided to extend it a bit before we turn around and run back. We turned off on the road towards Gush Etzion and some local moshavim. We got to the entrance of Moshav Avi'Ezer and turned around. That road has a nice incline, so we got to strain ourselves on that a bit, and to enjoy the downhill respite on the way back. Coming back, we concluded our run at exactly 12km. The hills were beautiful backdropped with the bluish gray cloudy skies. Everything felt very historical, as this is the area where King David fought the Philistines 3200 years ago. Sometimes I can go out on a run and not really notice my surroundings, as I am concentrating on the run. But on a day like today I really noticed the surroundings - the fresh manure piled in the fields waiting to be spread, the browning fields as the summer heat progresses, the beautiful mountains and hills. It really is a beautiful area and a joy to be out running in such beauty. The BBC is reporting that an ancient city has been discovered in Egypt. It has not yet been uncovered, but has been discovered by radar. An ancient Egyptian city believed to be Avaris, the capital of the Hyksos people who ruled 3,500 years ago, has been located by radar, Egypt's culture ministry says. A team of Austrian archaeologists used radar imaging to find the underground outlines of the city in the Nile Delta, a now densely populated area. The Hyksos were foreign occupiers from Asia who ruled Egypt for a century. Avaris was their summer capital, near what is now the town of Tal al-Dabaa. Egyptian antiquities chief Zahi Hawass said in a statement that the area could be part of Avaris, the summer capital of the Hyksos who ruled Egypt from 1664-1569 BC, during the 15th Dynasty. "The pictures taken using radar [imaging] show an underground city complete with streets, houses and tombs which gives a general overview of the urban planning of the city," Dr Hawass said in a statement. Being that this ancient city would be from about 3500 years ago, that times it right around the time period that the Jews spent in Egypt as slaves. The city is believed to be Avaris, the summer capital of the Hyksos people, foreign occupiers who ruled Egypt for about a century, beginning around the mid-17th century BCE. It was during that time that the Children of Israel began their sojourn in Egypt, which continued later with a “new king who did not know Joseph” (Exodus 1:8), enslavement, and later, the miraculous Exodus. 6. Rabbi Fink is nostalgic for the anti-semites of yore.. I recently read an article on the Cross Currents blog by Rabbi Dovid Landesman titled "We Are All Emanuel". His basic thesis, and this has been shared by many of late, was that the Emanuel case highlighted the conflict between the state of Israel and Torah values and, of course, in such a conflict we must all side with Torah Values. Some have gone to great lengths to either support or critique the court's decision. While others have cast this case and its outcome as a modern day pogrom. Still others have used it to highlight the nefarious nature of the Supreme Court and its predilection to advance a leftist, anti-religious agenda. While all of these issues may be worthy of discussion in the abstract, I think that they all miss the most fundamental point. To put it in science fiction terms, this timeline should never have existed. The players in Emanuel, literally, elevated a school yard spat into a national crisis. The issue surrounds a Beit Yaakov school, a member of a system of education that is supposed to be known for its piousness and fidelity to Torah values. Yet somehow, these self-avowed "tremblers before God" managed to make a mockery of His name throughout the entire world. Most orthodox Jews, even while not necessarily agreeing, understand the nuances that are common within their world. To that end, they rarely have an issue when a school is founded based on those nuances. However, most of the world has no appreciation for these minor differences we often use to subdivide ourselves. To them we all represent Torah and thus there's little understanding when one group literally walls off another. That this issue needlessly spilled into the public arena is an embarrassment for all of us. When living in a place where secular law is paramount, pious people are mandated to solve their internal religious issues with their own religious courts. That this case was allowed to move beyond that arena is the foremost reason we should be angry at Emanuel. Beyond that, every step of the way there seemed to be another calculated action to make us all look foolish. There was very little civil behavior in the civil courts. Esteemed Rabbis speaking at the rally admonished those who would let this issue rise to the secular courts. Where was this Rabbinic leadership before it got to the courts? Where was the leadership in Emanuel? Where was the wisdom that is supposed to come along with piety that should have resolved this issue at its very inception? Where was the sensitivity to one's fellow, a primary Torah value, that should have guided both sides to be sensitive to each other's needs? Especially at this point in history when the state of Israel has become like the hated "Jew" of the 1930's and we face the most serious threat to our existence since WWII, it is simply unconscionable that this issue was allowed to reach the world stage. It's totally irrelevant whether you believe it was the Supreme Court that was being foolish, Emanuel's residents, or both. Looking in from the outside we're all Jews in a Jewish state. I don't know how many of you peek into social media like Facebook and Twitter, but this has become pure fodder for the anti-Semites of cyberspace. Regardless of the merits of the case, it is being framed by them as one where "huge masses of Israelis protest in support of racism". Note, to them we are not Chareidim, we are not orthodox, we are all Israelis. Since today's Israeli is yesterday's Jew, this school yard spat has now disgraced every Jew in the world. I'm angry at Emanuel. We all should be angry at Emanuel for creating a timeline that should never have existed. Far from supporting them by attending rallies and the like, we should be demanding an apology. Very similarly, Jonathan Pollard is another fellow Jew who is sitting for a very long time in jail, far longer than anybody who committed similar or even worse crimes of spying for enemy countries rather than for friendly countries, yet we don't seem all that interested in rallying around his cause. I thought of Pollard today when reading a brief review of Rubashkin's sentence and then seeing some of the reactions. While I am sure most, if not all, of the people who express shock at Rubashkin's sentence would also be happy if Pollard was released, few of them actually have rallied around the "free Pollard" campaign and have worked for his release. Where are the viral videos being sent around on behalf of Pollard as they were for Rubashkin? 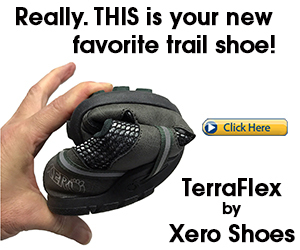 Where are the email campaigns? And I see one major difference between the crimes. Rubashkin's crime was for his personal profit. Pollards crime was for the Jewish nation and the State of Israel. A worrying development in the Pollard situation is Ambassador Michael Oren seemingly backtracking on the Jonathan Pollard issue. Today Oren mentioned that Pollard was working for a rogue spy operation, and had nothing to do with the Israeli government. It is bad enough that until now the Israeli government has disassociated itself from Pollard, mostly by its silence on the issue and by lack of any attempts to help get him released (besides some attempts by Netanyahu in the past, most notably at the Wye Plantation), but now to go back to the original denial of any connection? That is nasty. People are trying to effect that our eternal capital will not be completely ours - only part of it - and specifically that part with which we have our deepest and most important connection - Temple Mount, Mount of Olives, The Jewish Quarter, The Kotel, there are people in the world that want to steal these places away from us - I say to you: It will not happen! Ponzi king Bernard Madoff is telling fellow jailbirds that he secretly funneled $9 billion in swiped funds to three people before he was nabbed, an inmate told The Post. Madoff says that his partner in crime Frank DiPascali knows who the recipients are -- and that he suspects DiPascali is using that information to cut a better deal with the feds, according to the inmate at the medium-security prison in Butner, NC. "I think it was personal friends," the inmate said of the recipients of the mega-bucks. DiPascali, 52, pleaded guilty last year to 10 felonies in connection with helping Madoff swindle investors out of more than $60 billion at his Manhattan financial firm. Madoff, 72, is serving a life sentence, but DiPascali has reportedly been trying to avoid that fate by cooperating with prosecutors -- who argued strenuously for his release from jail pending sentencing despite a judge's initial reluctance to grant bail. DiPascali remains locked up awaiting sentencing, unable to post a $10 million bond. DiPascali's lawyer, Marc Mukasey, did not return a call seeking comment. The Manhattan US Attorney's Office, which is prosecuting DiPascali, and Madoff's lawyer, Ira Lee Sorkin, had no comment on the inmate's claim about DiPascali. The inmate, who has witnessed the arch swindler's daily routine, also detailed how Madoff began attending sessions with a female prison psychiatrist last year after becoming depressed about a tell-all published in August by his former mistress, Sheryl Weinstein. "He was having problems with his wife [Ruth]" over the book's revelations, the inmate said. "He felt she might leave him." The Daily Mail is reporting that ebay is now being used for internet dating. Of course, the revolutionary case has to be a Jew. But after seven years of his mother being unlucky in love, James Doyan has decided to place her 63-year-old heart up for auction - on eBay. Despite the old adage that money can't buy you love, twice divorced Sandi Firth has agreed to be 'sold' to the highest bidder on the international website. It adds that she is in 'used condition' but describes her as being in 'pretty good working order [with] no real defects or signs of wear and tear'. The online description then continues: 'She is stylish and loves to wear the latest fashions (sometimes forgetting her age) and parades them at any opportunity. It goes on: 'When not working (which can sometimes be unsociable hours) she enjoys amateur dramatics, presenting on community radio (chat show and topical interviews), bridge and is trying ever so hard to get out of playing golf which her friends are encouraging her into. 'My mum is also an amazing cook - she really is - good home style cooking - and her cherry pie is the best. Mr Doyan is prepared to deliver his mother to the successful bidder but added that at 5ft 7ins she would also be light enough to travel with a courier. With a starting required bid of £1, there have been no official bids for the businesswoman who Mr Doyan said was 'driving me crazy' with her single status. But, listed in the 'collectibles' section of eBay, and described as 'unboxed', Mrs Firth has attracted up to 250 viewings, and her son, who has 100 per cent 'positive feedback' on the site has received emails from potential bidders asking to 'try before they buy'. Yesterday Mrs Frith, said that despite previous attempts at online dating, her attempts to find a man have been 'a bit of a disaster'. Mrs Firth, who runs her own market research company in Leeds, Yorkshire, said she was at first shocked by appearing on eBay. She said: 'My son is very innovative and has a wonderful way with words. I have had some rotten times and he has been through them with me. Mr Doyan, a management consultant from Crouch End, London, claims his mum has simply been unlucky in love. He said: 'I'm a bit impulsive and just decided eBay is the best way to generate interest in something. 1. Ben Chorin came out of retirement for a post on the Emannuel school issue..
3. Reb Akiva insulted Israel.. and tries to make up for it..
4. Point of no Returm has the worlds oldest man being a Jew..
Yaakov Litzman is, once again, threatening that UTJ will drop out of the government coalition. This time it is because of the decision against Slonim in Emannuel. I am not sure what the government has to do with it - it was a legal issue that was dealt with by the Supreme Court. The government does not really have the right to mix in. So I am not sure why he is threatening to punish the government coalition for, nor why he is threatening them. Last time he made similar threats he backed down, after the Barzilai bones affair. Can Litzman afford to speak so bombastically again, so soon after Barzilai, and back down yet again? Does that mean that this time he will not, he cannot, back down? This stuff is strange no matter what religion is doing it..
With the oil spill off the Gulf Coast not getting any better, the religious clerics are finally stepping up to do their wacky stuff. Holy water, meet Lake Michigan. As work crews on Sunday once more tried to stem the flow of oil in the Gulf of Mexico, Bishop James Wilkowski and a small contingent from the Evangelical Catholic Diocese of the Northwest stood at the end of a pier in Chicago's Rogers Park neighborhood and offered a simple prayer to heal the sick. Then he grabbed a wand from an ornate gold bucket and sprinkled holy water into the lapping waves. Behind him, sunbathers looked upon the spectacle with their mouths open and a dog chased tiny sticks tossed into the lake. "I've seen a lot of things out here, but never something like that," said Courtney Quigley, a lifeguard on duty. "We had a baptism once, but never this." The bishop, donning a white ceremonial smock, a pink skullcap and long, embroidered stole around his neck, gazed out over the open water. "If BP can't plug the leak, maybe God can," he said. In a brief and windswept afternoon ceremony at the edge of the pier at Jarvis Beach, Wilkowski prayed for the good health of the Great Lakes and for all of the waters on Earth. It was a blessing, he said, built out of frustration as he and millions of Americans have watched the unsuccessful attempts to stop the flow of oil off the Gulf Coast. Wilkowski, who grew up on Chicago's South Side, said he believes in the power of nature to heal itself. He has seen it firsthand with the slow but steady recovery of the Little Calumet River from intense industrialization decades ago. But Wilkowski worries the ever-expanding spill in the Gulf of Mexico may be too large even for nature to overcome. That's why he paused Sunday to ask for God's help, and to recite the same blessing he gives to those he visits in the hospital. "I believe all the waters of the world are a part of us," said the Rev. Mike Bonnett, a member of the diocese who assisted in the blessing. "So many things are happening in the world that are not conducive to the overall health of the planet. This is one small part we could play." From one American Lebanese Journalist to Another..
Helen Thomas is not the only American Lebanese journalist out there, and it seems her opinion might not even be the standard opinion among them. After the Helen Thomas interview and in which she said on camera that the Jews should get the hell out of Palestine, another American Lebanese journalist has written her disapproval with what Thomas said. I find it both appalling and unsettling that someone with your level of journalistic accomplishment would lack a basic knowledge of Middle Eastern history. So please allow me to make the case as to why Israel has a historical, legal and moral right to exist as a Jewish state in the Middle East. People can propagate lies but they cannot erase historical facts. Isaac Bitton, originally from Portugal, dedicated his life to restoring the small Jewish cemetery in Faro, Portugal. When he recently died, he was repaid in kind, being the first, with his wife's body being re-interred from a non-Jewish cemetery she had been buried in due to lack of a Jewish cemetery in the area they lived in outside of Chicago, to be buried in the new Jewish cemetery in McHenry County. Franks, who paid for the ground, said he knew his friend Bitton was upset when he had to bury his wife, Miriam, in a nonsectarian cemetery in 2004. Bitton himself died two years later at 80. Their bodies were reburied in the Jewish cemetery last month, the first burials there. "I knew it was important to him and I am so pleased to help fulfill what I knew would be his dream," Franks said. "I liked him very much." Maynard Grossman is vice president of the Illinois Cemetery and Funeral Home Association and executive director of Shalom Memorial Park and Funeral Home in Arlington Heights. The new cemetery, he said, is a good thing for the Jewish sense of community. The Jewish commitment to caring for the dead "should be part of the life cycle," Grossman said. Isaac Bitton of Woodstock was one of 10 children and grew up in Lisbon, Portugal, raised in a strict Jewish family, his family said. As a teenager, Bitton joined the British army in World War II and fought in a Jewish brigade, said his son, Mike. He later fought for Israel's independence, his son said. Isaac Bitton and his wife were married in Palestine; the couple immigrated with their three sons to the United States in 1959. On a trip to the town of Faro, Portugal, in 1984 to visit his mother's birthplace, Isaac Bitton discovered a small, neglected Jewish cemetery. Most of the gravesites were in shambles. "He was appalled," his son said. "He came back and was committed to getting that place fixed up." Over the next 10 years Bitton, who owned a flooring business in Woodstock until 1999, worked with politicians and businessmen in Portugal to set up the nonprofit Faro Cemetery Restoration Fund. He raised about $80,000 to restore the cemetery, his son said. In 1993, the new Faro Jewish Heritage Cemetery was restored and rededicated. Bitton negotiated deals that ensured a portion of parking fees and other services would be used to support the cemetery, his son said. "My dad made sure that this would never be in disarray again," Mike Bitton said. Franks, who worked with Isaac Bitton on restoring the cemetery, serves as secretary of the Faro Cemetery Corp. In 2007, a year after Bitton's death, the Isaac Bitton Synagogue Museum was opened on the cemetery grounds. "Without the past we have no present, without the present there is no future," Mike Bitton said, quoting one of his father's favorite sayings. "You have to honor those that came and went before you and it is not nice to leave them in such disarray like that." Bitton said he is grateful that Franks and the congregation made his father's dream of a Jewish cemetery in McHenry County come true. It is a place, he said, "where those of us that are left behind can go and visit whenever we like." 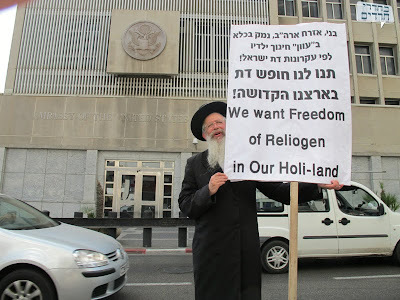 You'd think this guy would have put just a tiny bit more effort into his sign, considering he is staging a one man protest outside the US Embassy in Tel Aviv, and spelled the words correctly! Don't tell this guy, but freedom of religion also means the government does not pay for religious schools, shuls, religious cultural events, mikvas, eruvs, kollels, yeshivas and pretty much everything else the religious community in Israel relies on the government for. I am in favor of separation between shul and state (though I don't know that it can be done here 100%, as the "Jewish state" aspect of the country has to be defined somehow), but this guy probably doesn't realize that such separation doesn't just mean leave us alone when we want you to. This seemed interesting.. what do you think about it? They have come to an agreement in Emannuel. Baruch Hashem. After Rav Yaakov Yosef pulled out of the fight, after he was threatened, and then Rav Ovadia spoke out against going to the secular courts, Yoav Lalum came to an agreement with the parents and the Slonimers. They agreed to arbitration by beis din. Lalum agreed to withdraw all his suits and complaints. In exchange they agreed that there would only be one school and one track and everybody would learn together. In case of a specific need, any specific girl or family in question would be evaluated and decided on separately by the beis din. I don't get it. This is basically what Lalum wanted in the first place. So in the end he got everything, the parents get out of jail (I assume), and there will be a beis din dealing with specific questions and individual questions. So why did they have to go through all this drama of the past weeks? Why couldn't they agree to this from the start? What happened to the insistence that the fight was lshem shamayim and there was no way they could let their girls learn wth other girls at such a low level of observance? What happened to the big kiddush hashem of going to jail over taharas ha'chinuch? 1. Between JM and TLV has more on the shechita issue in New Zealand..
3. RBS Blog on baseball in RBS..
enjoy the crazy yeshiva guys..
Yossie Beilin wrote an opinion column in today's Yisrael Hayom newspaper. He was commenting on the Emannuel situation and he said that while we can afford to ignore the extreme haredimm who are way out on the fringe, we cannot ignore the normative haredim who do not accept the rule of law of the state. He was arguing the concept of deena d'malchusa deena, as if anyone would consider him an authoritative halachic opinion to make such an argument. NOTE: Yossie Beilin, and other great secular writers and thinkers like him, are welcome to write their opinion and try to influence society according to the way they think. Please don't stoop to trying to convince frum Jews how to act using halachic arguments that you have no concept of what they mean, nor how or when they are applied. Nobody is going to give you more credence just because you quoted 3 words from the gemara. That is neither here nor there, as far as my interest is concerned. I am more interested in understanding one off handed remark Beilin made. Beilin was showing how different the haredim are. Beilin says after comparing to how frum jews have acted in other countries by following the laws and dictates of the states and praying for the states welfare (my translation), "As far as I am concerned, they can bless and praise anybody they want in their prayers. They can dress in the middle of the summer like Cossaks from the end of the 18th century. And they can use a clock (RG: watch?) that is different than the one other Israelis wear - did you know that?. But since they dont understand on their own that in Israel too the concept of Deena D'Malchusa Deena applies - the state come along and obligates them to act so." Does anybody know what the heck Beilin is talking about that haredim use different watches/clocks than other Israelis? Beilin used the word "sha'on", so I don't think he simply meant a different calendar schedule like following the Hebrew date rather than the English date - he meant a watch or a clock. Does anybody know what he is referring to? He even recognizes that most people have no idea about this, as he points out "Did you know that?" when he mentions it. Basically he is saying the haredim are from Mars, but I really would like to know what he meant by the watch comment.